Many of the nation’s housing markets are getting back to normal heading into the spring home buying season, according to the recently released Freddie Mac Multi­ Indicator Market Index® (MiMi®).However, there are pockets of weakness, particularly in the Great Lakes Region and the South outside of Florida and Texas. The national MiMi value stands at 82.7, indicating a housing market that’s on the outer range of its historic benchmark level of housing activity, and little changed with just a +0.18 percent improvement from December to January and a three­ month improvement of +1.46 percent. However, on a year ­over­ year basis, the national MiMi value has improved +7.57 percent. Since its all­ time low in October 2010, the national MiMi has rebounded 40 percent, but remains significantly off from its high of 121.7. “Despite a stronger jobs market and declining unemployment, wage gains have not kept pace with house prices putting a pinch on home buyer affordability,” says Freddie Mac Deputy Chief Economist Len Kiefer. “In the top 100 metro areas MiMi tracks, Los Angeles and Honolulu have elevated payment ­to ­income indicators and Miami, FL, is very close to elevated. An additional six metro areas have their MiMi payment ­to ­income indicators over 100, indicating that the payment ­to ­income statistic for that area is above its historic benchmark. At the state level, the District of Columbia has an elevated payment­ to­ income indicator while Hawaii and California have values above 100.” Thirty­ four of the 50 states plus the District of Columbia have MiMi values within range of their benchmark averages, with the District of Columbia (101.8), North Dakota (96), Hawaii (95.6), Montana (95.1) and Utah (94.5) ranking in the top five. Compared to the same time last year, 22 states and the District of Columbia had MiMi values within their benchmark ranges. Fifty ­six of the 100 metro areas have MiMi values within range, with Denver, Colo. (99.8), Austin, Texas (99.1), Salt Lake City, Utah (97.7), Honolulu, Hi. (97.6), and Los Angeles, Calif. (96.9) ranking in the top five. Compared to the same time last year, 29 of the top 100 metros had MiMi values within their benchmark ranges. The most improving states month over month were Colorado (+1.41 percent), Oregon (+1.31 percent), Mississippi (+1.07 percent), New Jersey (+1.05 percent) and Arizona (+0.88 percent). On a year­ over ­year basis, the most improving states were Florida (+16.72 percent), Colorado (+15.56 percent), New Jersey (+14.61 percent), Nevada (+14.21 percent), and Oregon (+14.04 percent). The most improving metro areas month over month were Colorado Springs, Colo. (+2.09 percent), Denver, Colo. (+1.53 percent), New Orleans, La. (+1.48 percent), Ogden, Utah (+1.19) and Stockton, Calif. (+1.12 percent). On a year ­over­ year basis, the most improving metro areas were Orlando, Fla. (+20.39 percent), Cape Coral, Fla. (+19.25 percent), Denver, Colo. (+19.09 percent), Tampa, Fla. (+18.93 percent) and Portland, Ore. (+18.07). In January, 44 of the 50 states and 78 of the top 100 metros were showing an improving three­ month trend. The same time last year, 13 of the 50 states, and 42 of the top 100 metro areas were showing an improving three­ month trend. “These payment­ to­ income indicators are high despite the fact that mortgage interest rates remain low,” says Kiefer. 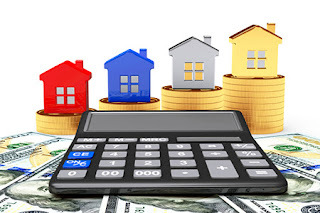 “Mortgage rates fell at the start of the year, helping to bolster affordability heading into the spring season. But a lack of available inventory of for ­sale homes has constrained many markets. We see that reflected in the MiMi purchase applications indicator, which remains weak nationwide.” All of which makes me wonder, without significant pay increases, how can these gains sustain themselves?